Prescription Drugs Laws & Legal Help. FREE Consultation! Prescription Drugs Laws & Legal Help. FREE Consultation! Prescription drugs are everywhere these days. You need only review a newspaper or turn on the television to see that the abuse of prescription drugs has reached high levels in the United States. To fight this problem, federal prosecutors and the Drug Enforcement Administration (DEA) have directed their attention to the sale and distribution of prescription drugs in an initiative to close out the so-called “pill mills” and end illegal distribution. OxyContin, Xanax, Methadone, Morphine, Valium, and Diazepam are just a few of the different prescription drugs that are illegally abused. Many criminal drug offenses are linked to illegal narcotics. However, prescription drugs are controlled by the government, which means that a person can face a myriad of other criminal penalties. Other charges that may arise include possession of prescription drugs without a legal prescription and distribution, manufacturing, sale, or trafficking of prescription drugs without the valid authority to do so. 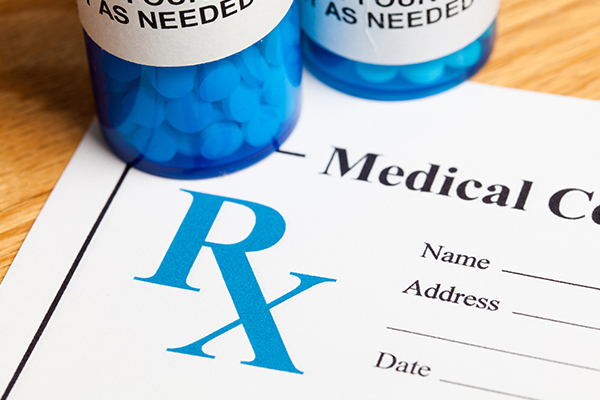 Prescription fraud is another very serious prescription drug offense, and those charged with it may also face charges, such as deception, forgery, and misrepresentation. Penalties for offenses related to prescription drugs will vary from state to state. Whether the crime is charged at a state or federal level will further affect sentencing. The type of substance involved, as well as the quantity, will also have bearing on how the case is tried and what penalties may result. For example, some prescription drugs are classified as Schedule I drugs, while others are considered Schedule II drugs, which typically come with much greater penalties. Additionally, cases involving medications that are considered addictive or hazardous by the government will be treated more severely, though any prescription drug charge can result in substantial fines and possibly prison time. Moreover, a criminal record can affect your career and employment opportunities for the rest of your life. Possession of illegal prescription drugs, aside from medical marijuana, is punishable by a year in prison and a $5,000 fine. Penalties will generally increase in correlation with the quantity of the substance. Other factors, such as a previous conviction for a drug crime, possession of illegal prescription drugs or controlled substances near of a church, school, park, or business, or crimes that involve minors, will likely have more serious consequences as well. Attorneys who successfully handle prescription drug cases must have a broad scope of abilities and knowledge. Throughout the pages of this site, you will find profiles of attorneys who utilize various methods to defend their clients. Depending on the circumstances of the case, it may be advantageous to uncover weaknesses in the state’s case, to show that a traffic stop or search was conducted unlawfully, to prove that a confession was obtained illegally, or to create a different strategy altogether. For this reason, it’s essential to retain legal representation swiftly, to ensure that your attorney has the time he needs to properly assess the case. Take a moment to review the attorneys and begin scheduling consultations right away.